Film credits include: Custody (as Casting Director and Associate Producer), Good Friday, The Rewrite, Music & Lyrics, Two Weeks Notice, Night at the Museum (Artios Award), School of Rock (Artios Award), Sleepy Hollow, The Pink Panther, Pink Panther 2, A Simple Plan, It’s All About Love, The Parent Trap, Twilight, Shaft, First Wives Club, Marvin’s Room, Robin Hood: Prince of Thieves, Three Men and a Little Lady, No Way Out. Television credits include: Witness to the Mob, The Great Gatsby, Earthly Possessions, Amy and Isabelle. Theater credits include: London/West End: Venus in Fur (as Casting Director and Executive Producer) at Theatre Royal Haymarket; The Libertine (as Casting Director and Executive Producer) at Theatre Royal Bath and Theatre Royal Haymarket; Breakfast at Tiffany’s (as U.S. Casting Director for 2009 TRH production, and for 2016 UK tour.) Broadway theater credits include Waiting for Godot, No Man’s Land, Breakfast at Tiffany’s (as Casting Director & Associate Producer), Marlene, The Elephant Man, Dance of Death, The Diary of Anne Frank, Dirty Blonde, Closer (Artios Award.) Off Broadway theatre credits include: Wink, Passion Play, Much Ado About Nothing (Cheek by Jowl at BAM; U.S. Casting), Psychopathia Sexualis. Ilene is a former Vice President of Casting for Walt Disney and Touchstone Pictures. She is a member of The Academy of Motion Picture Arts and Sciences. Ilene conducts workshops on acting and auditioning, and coaches privately when her schedule allows. 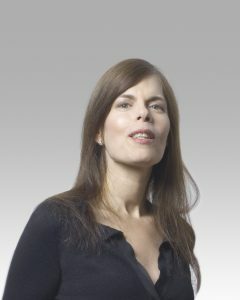 She has taught guest classes and workshops at Montclair University, Hunter College, NYU, One on One NYC, Actors Connection, Mixing Networks (London), Met Film School (London) and the SAG Foundation. 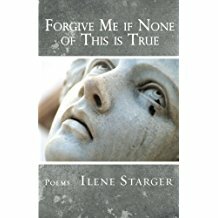 Ilene’s full-length poetry collection, Forgive Me if None of This is True, is available on Amazon. Finishing Line Press published her earlier chapbook, Lethe, Postponed. Her work has also been published in numerous respected poetry journals. Ten of her poems formed the basis of a classical song cycle, Elusive Things, with music composed by Eric Shimelonis. Elusive Things, sung by F. Murray Abraham and played by the musicians of Voice of the City Ensemble, premiered at Weill Recital Hall at Carnegie Hall in 2010.